Municipal Corporation of Greater Mumbai has invited to application for 291 variour posts. 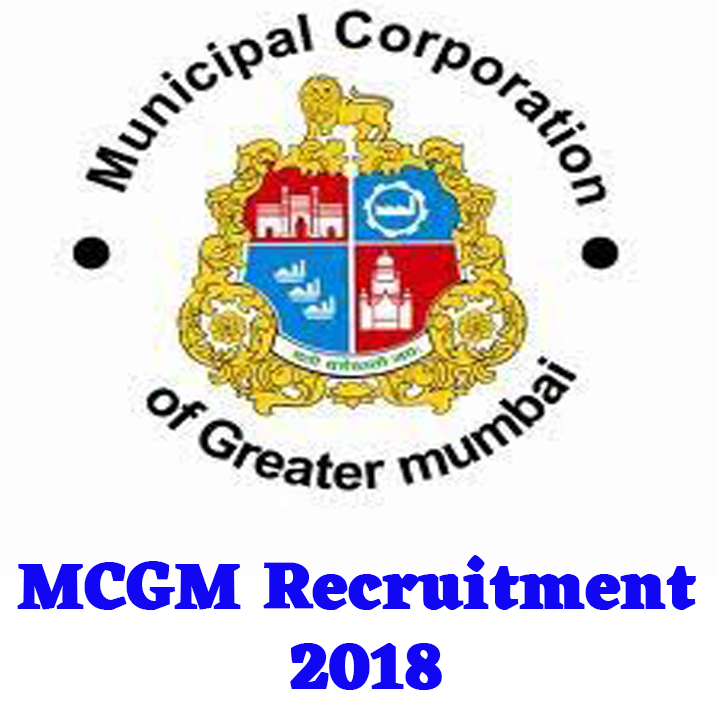 Eligible candidates who wants to apply for these posts refer the below article for details like age limit, qualification and how to apply for MCGM Recruitment 2018. If already in the service of Greater Mumbai Municipal Corporation, there is no maximum age limit for the candidates. Written and oral examination may be organized for these posts. The best performing candidate can be selected. Tip:-For more information like application form for the candidates, conditions detailed disclosure, etc available on departmental official website. Date of Online Examination will be published on the website of Brihanmumbai Municipal Corporation.